This week has been long, long, long and yet I can't believe how close it is to Christmas. The shorter number of days between Thanksgiving and Christmas this year is really making the holidays fly by quickly. Leaving you with less time to do everything from shopping for gifts to decorations. One thing I truly miss this holiday season is the scent of a fresh Christmas tree. Growing up, my family always had a freshly cut tree and I loved the pine scent. It would leave such a wonderful scent all through the house and put me in the Christmas spirit. Since it is difficult to have a Christmas tree when living in a NYC apartment, I have been depending on this pine and eucalyptus candle by Jo Malone to fill the void. 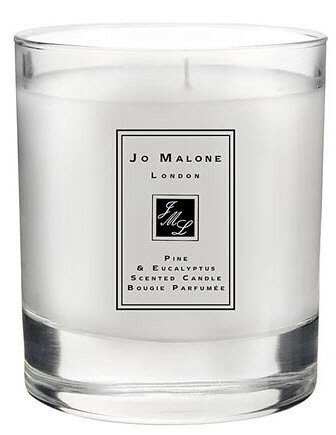 Unlike other pine scented candles, this one has a light aroma that leaves the air with the perfect amount of fragrance. So until I can get the real thing when I go home for Christmas, I will be depending on this candle to put me in the Christmas spirit.